In addition, the agency took home an amazing 8 Silvers and 3 Golds! A sell-out crowd of New Zealand media personalities came together for the 2018 Commercial Communications Council Beacon Awards, in association with NZME. The Beacons are a celebration of the industry’s best work from the past year. PHD New Zealand snatched the highly coveted Media Agency of the Year award for its consistent achievement over the calendar year. 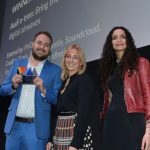 The criteria of the award was based on business vision, employee development, financial performance, client acquisition and development, industry contribution, and creativity and innovation rather than the traditional way of who won the most metal on the night. The award acknowledged PHD for its outstanding client and employee achievements, industry contribution, and global award recognition over the past year. Louise Bond, chief executive officer of PHD New Zealand says she’s immensely proud of the creativity, innovation and hard work of PHD’s talented team “who have produced fantastic work and pushed the boundaries over the past year”. PHD also won three gold category awards, including two for Consumer Services and Most Effective for its ‘The best Freekend Christmas ever!’ campaign with Skinny Mobile. Judges credited the campaign for its honest and grounded approach, as well as its ability to overcome a difficult challenge. PHD also enjoyed a golden gong for its Best Use of Technology alongside MediaWorks for ‘Helping Newshub Win the Election’. It also gained eight silvers: Fast Moving Consumer Goods (DB Breweries), Consumer Services (Genesis Energy), Best Small Budget (MediaWorks), Best Use of Data (Genesis Energy), Best Use of Video (DB Breweries), Best Communications Strategy (Skinny Mobile; DB Breweries) and Most Effective (MediaWorks).